For many kids, wrapping their head around fractions-what they are, what they represent, how they’re used-is a huge challenge. And at first glance, comparing fractions makes no sense, because it seems to go against what they’ve been previously taught (bigger value=bigger number). In order to work with and compute with fractions, kids need to have a strong fraction sense, and this includes understanding how fractions compare to each other. 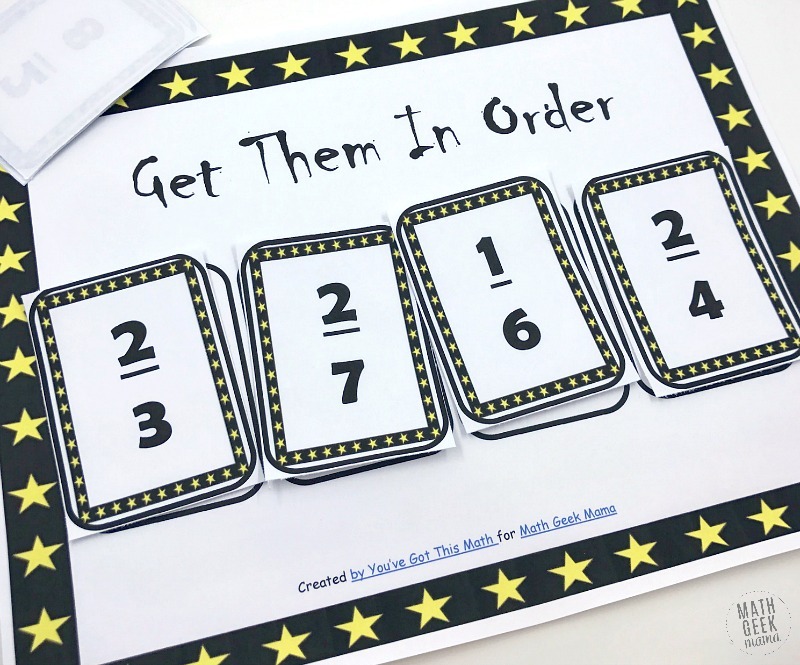 This engaging comparing fractions game will not only provide fun and unique practice, but will challenge kids in a new way each time they play. 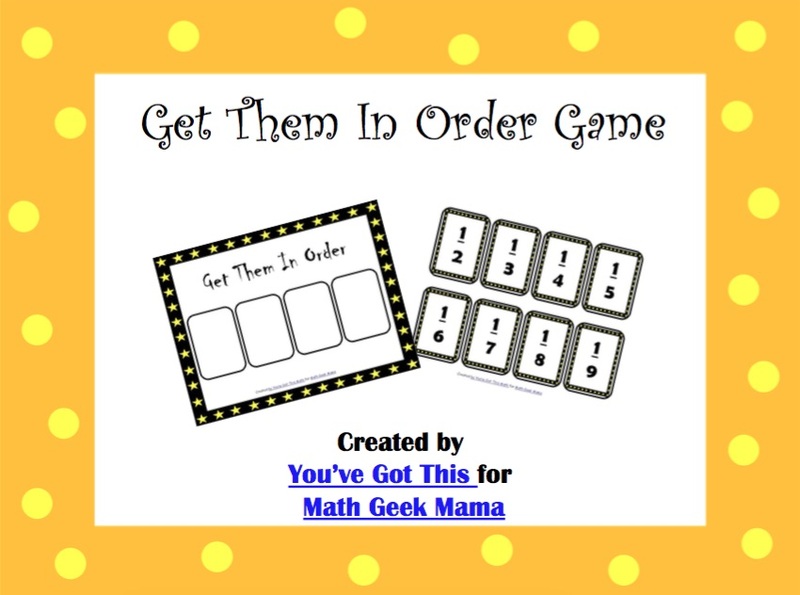 Before you go grab this game and start printing, it’s important that you start with hands on and visual models to compare fractions. To see which fraction is smaller, they will need to have a strong understanding of what the numerator and denominator represent and understand how to visualize that fraction. I love to draw simple area models whenever we talk about, use or compare fractions to make sure we all have a good picture in our head of what the fraction represents. It’s also really important for kids to compare fractions using a number line. On a number line, you can see where fractions fall in relation to one another. You can also include improper fractions or mixed numbers, to show additional comparisons. Finally, you can use benchmark fractions to help compare two fractions. Seeing that one fraction is greater than 1/2 and one fraction is less than 1/2, you know instantly which fraction is smaller. 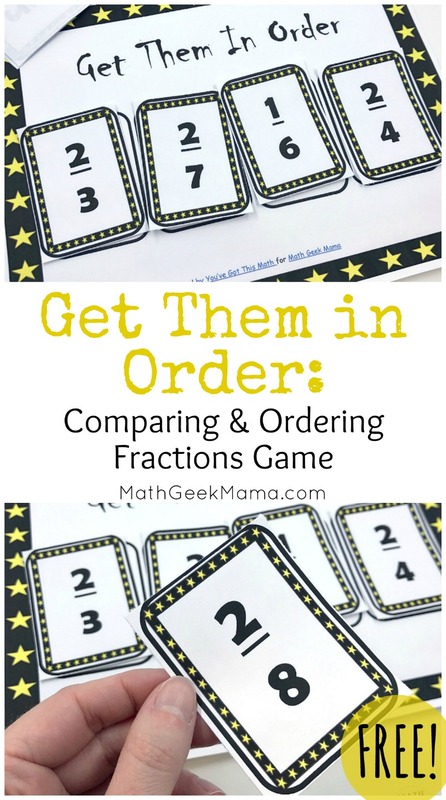 Once your kids feel confident understanding and comparing fractions, they’ll be ready to play this comparing fractions game! This is a super simple game, and after a little prep, you are ready to play, no additional materials necessary! All you need is a game board for each player plus a set of fraction cards. All of these materials are included in the download, which you can grab at the link below. If your students are just beginning to work with fractions, however, you may want to provide some materials to help them compare their fractions. This might be fraction tiles, graph paper, or simply a white board where they can record their thinking as they work. I suggest printing all the materials on card stock paper. This will provide greater durability and ensure the cards aren’t see through. 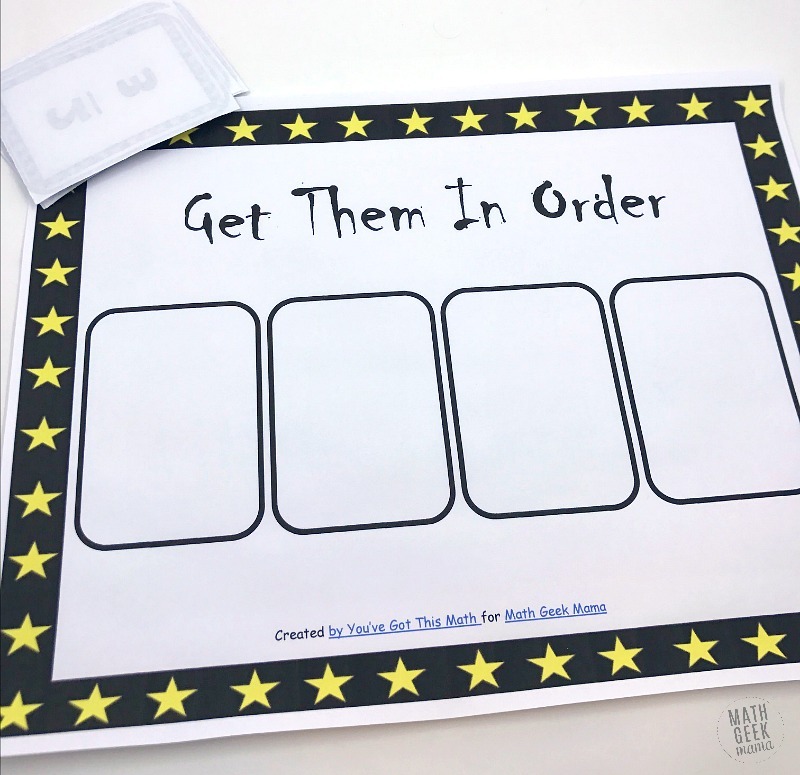 I would also suggest laminating the game mats and fraction cards. This way you can use the game again and again. Then simply cut out all the fraction cards (there are 48 included). Shuffle them well and place them in a deck face down in the center of the game and you’re ready to play! The object of this game is to be the first to have 4 fractions correctly in order from least to greatest on their game board. To begin, each player draws 4 fraction cards and places them in the order they draw them on their game mat (from left to right). 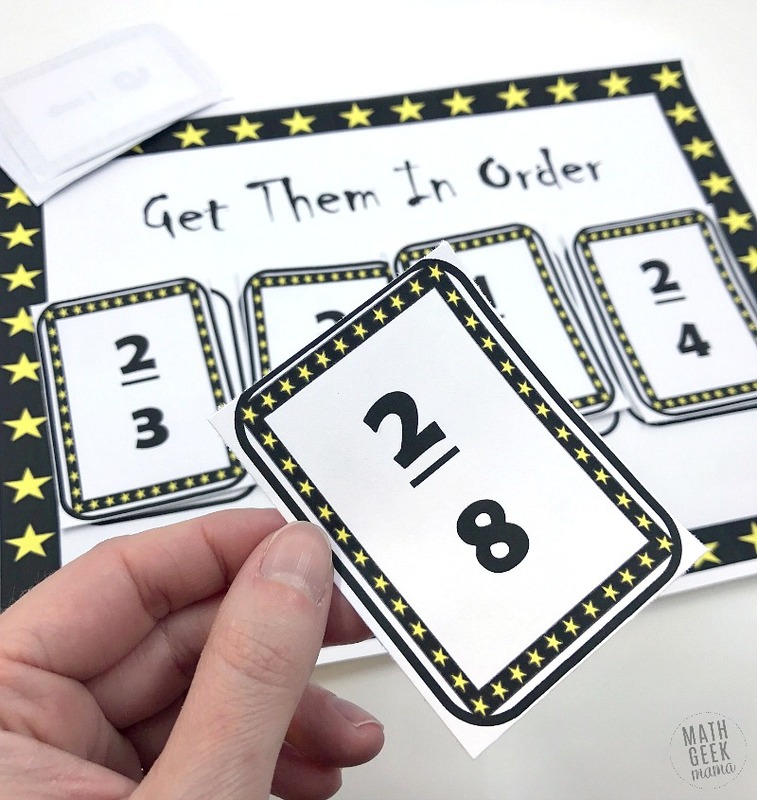 Players then take turns drawing a new fraction card and swapping it with one of their current fractions, keeping in mind that they’re trying to have 4 fractions that are in ascending order. So for example, if your first fraction is 7/8, and you draw 1/6, you’ll want to swap that fraction out. Now you have a fairly small fraction at the beginning, instead of a rather large fraction. So not only will students be comparing and ordering fractions in this game, they will have to use some logical reasoning skills as they decide which fraction to swap. They will also get to practice simplifying fractions, as many of the fractions, such as 2/8 shown above, are not in simplest form. 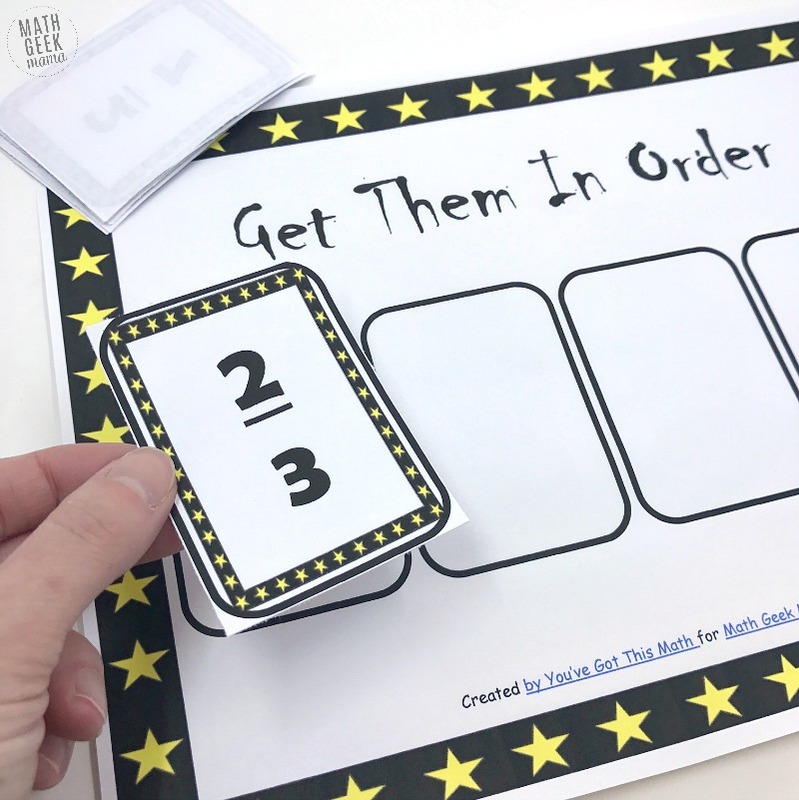 And again, because you start with 4 new fractions every time you play, this game can be used again and again to strengthen fraction sense, solve problems and deepen student understanding. I hope you and your kids love this fun, yet challenging game!